Cemen Tech employees are among the most recognized in the volumetric mixing industry. Our engineering, parts, service and sales department are highly regarded world wide. We make sure that your mixer produces the concrete you need, when you need it, how you need it, and where you need it. Cemen Tech employee owners are the company’s greatest asset. We bring together talented, smart people who work hard every day to ensure Cemen Tech delivers the exceptional concrete mixers that our customers have come to expect. We are proud to employ many of the leading experts in the volumetric mixing industry. 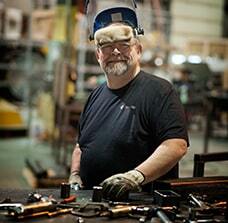 Several of our employees have been with the company 20, 30 and 40 years. 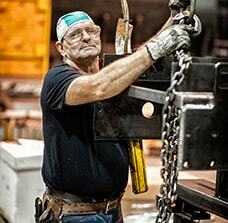 Every volumetric mixer is built by a team of hard working, employee owners who take pride in their work. From production to engineering to management to service, our team is focused on making sure your volumetric mixer perform as promised on job sites around the globe. 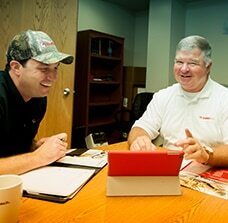 Cemen Tech employee owners are a diverse group who are guided by a set of Core Values. Those Core Values impact how we perform our jobs each and every day. Each of our employees are focused on doing the right thing, being accountable and engaged, while having a positive mindset in a safe environment. Ingenuity is also an important Core Value for all Cemen Tech employee owners. Our production and engineering teams work hard to produce the industry’s most advanced volumetric mixer. All employees are encouraged to submit their ideas about products and processes can be improved. Ideas from our production team are reviewed by top level engineers and often result in changes to our mixer designs that eventually positively impact all mixers that leave our facility.